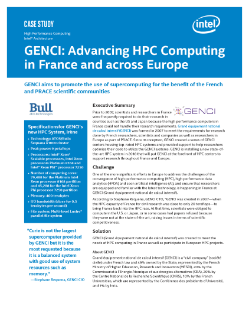 GENCI's new Irene supercomputer with Intel® Xeon® Scalable and Intel® Xeon Phi™ processors will support European researchers with the latest HPC technologies. Aaron Knoll compares performance for visualization based on analysis, debugging, and communications. La contratación del big data utiliza análisis predictivos para racionalizar la incorporación de profesores y encontrar buenos candidatos que ayuden a los estudiantes a aprender.